Nature’s Sunshine draws on age-old Ayurvedic traditions from India in the Ayurvedic Joint Health formula. The formula blends herbs that nourish the skeletal system to help protect it from injury resulting from manual labor or from the results of a sedentary lifestyle. 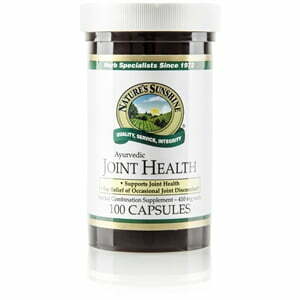 Ayurvedic Joint Health provides essential nutrients that may be missing in the modern day diet. 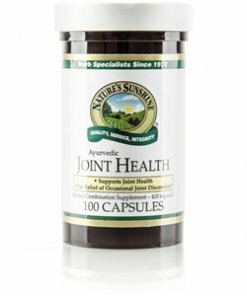 When combined with exercise and proper nutrition, the formula contributes to a balanced environment that promotes joint health. Magnesium stearate, gelatin and water.